Versatility can make your job more cost efficient. We provide a wide range of services here at Velocity, and we can arrange for both onsite and offsite repairs. 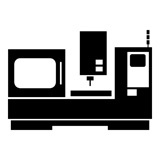 We combine the latest CNC machining & turning technology to build quality market-testing prototypes and production parts that require precision. Our manual machining services such as turning, milling, and line boring provide efficient options for complex prototypes, repair work, and short-run manufacturing. Precision waterjet cutting services provide close tolerance, distortion-free parts with superior edge quality, no burrs, and little need for secondary finishing. We can laser engrave company logos, serial numbers, part numbers, artwork, and anything else you would want engraved on a part. 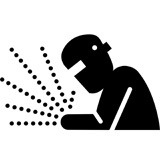 The laser is also useful for making precise cutouts of many materials for parts or artwork. Take your product from design to prototype quickly! Choose from a wide range of materials. Check the form, fit & function of your parts in a fraction of the time and cost of conventional prototyping. We can take simple or large complex projects from start to finish, providing the convenience of having a single source supplier for all of your welding and fabrication needs. We offer a variety of metal forming processes such as shearing, bending, punching, and rolling.